Just a quick note to say thank you to yourself and those involved in making the trip thoroughly enjoyable. Professionalism all the way. A real touch of class. It was all perfect, the directors had a great time, perfect. Thanks or arranging everything. A great trip that I thought was going to be a once in a lifetime experience however I’ll certainly be doing it again. A quick thank you for sorting our trip on Saturday. It was a great day. Thanks again and please pass on our thanks to the crew. 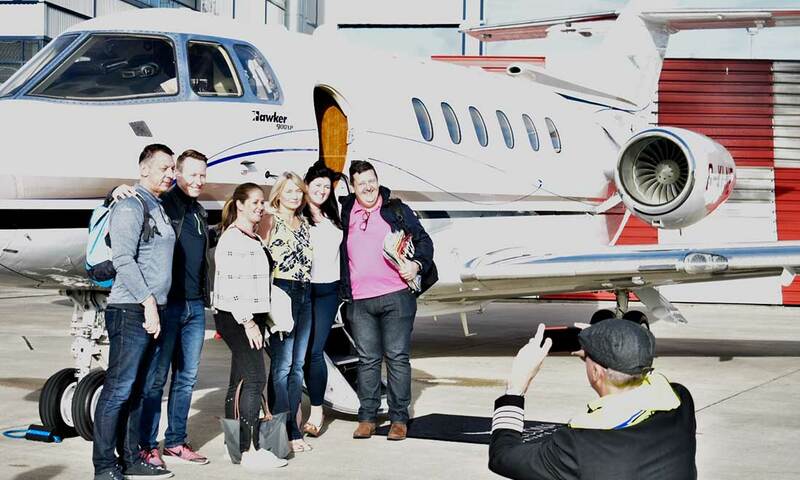 I can highly recommend Falcona for organising and delivering excellent private jet experiences. Attention to detail, clear communications and being thoroughly nice people to deal with are just a few of the excellent qualities they have demonstrated on a number of occasions now. I would just like to say a huge thank you for all your assistance with this booking. You made everything so simple. Ii will definitely be booking through Falcona again.